​Bloc Off The Wall [BOTW] are a high-octane, pop/rock/dance party band from the UK, fronted by the singer/guitarist and finalist in the BBC’s The Voice UK, Adam Isaac. Their edgy twists on modern pop/rock and dance covers, in addition to their experience in front of large crowds guarantee the very best in Premium Live Entertainment! Having just returned from playing all three UK Rewind festivals this summer; and drawing crowds of over 5,000 part-goer’s at a time, BOTW are well versed at how to make a BIG night, even BIGGER! The band are also no strangers to touring and performing abroad, having held residencies in the Alps in their various different lineups; playing some of the best party venues and events the French & Swiss Resorts have to offer. 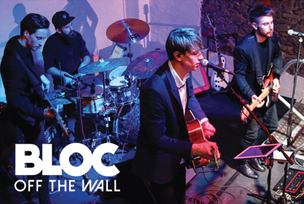 Having a multitude of professional musical experience and a varied catalogue of all your favourite party tunes, Bloc off the wall provide a dynamic, unique and fresh performance for any event! 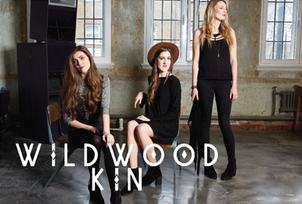 Wildwood Kin are an acclaimed anglo/americana trio from Exeter in Devon comprising of two sisters, Beth and Emillie Key and their cousin Meghann Loney. The music is a mix of their own beautiful and thought provoking original songs with a few stunning arrangements of some better known covers. Their voices meld perfectly in effortless and sublime close harmony and they accompany themselves on a range of acoustic instruments. In 2015 the girls were shortlisted for a major BBC Radio Music Award and in 2016 their debut single Warrior Daughter spent several weeks on the Radio 2 playlist. Their tracks have notched several million streams on Spotify. They also feature on every track on Seth Lakeman's top 2016 top 20 album “Ballads of the Broken Few” produced by the legendary Ethan Johns. They headlined the BBC Introducing stage at Somersault festival and played numerous festivals including Glastonbury, Cambridge Folk Festival and Beautiful Days as well as a headline tour in the Alps. This year they toured extensively and supported Texan band “The Oh Hellos” and UK Folk Legend “Seth Lakeman”and they start 2017 at Celtic Connections in Scotland. They are currently recording their own album due for release in 2017 and have recently won the @WhisperingBob Harris' Emerging Artist of the Year Award! When Will.I.AM from the Black Eyed Peas tells you your voice is; ‘Awesome Awesome Awesome’ That’s when you know your doing something right! 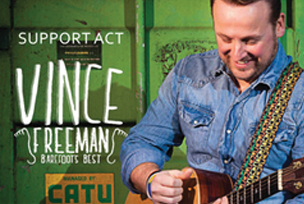 Vince Freeman UK based singer-songwriter received just such praise during The Voice 2012; in earning himself a place in the final 40. His performances in front of over 20 million (across two shows) have led to appearances at The Olympics and The World Snooker Awards plus many other festival appearances in the UK and Europe.  Vince's own blend of acoustic rock has earned him critical acclaim; Named ASCAP ‘One to Watch’ in 2008 Best Male Solo Artist & People's Choice Winner at the UK Indy Awards 2008. During his career of over ten years he has performed all over the world including tours in Europe, concerts in Africa and even in Las Vegas on behalf of Pepsi and the Deep Rock Drive concert series to a worldwide audience. He has also shared stages with some incredible artists including Ed Sheeran (With a thank you on his debut album +), Jocelyn Brown, Jamie Woon, Nizlopi, Newton Faulkner, and Paolo Nutini. ​Wine Bar and lots of lovely food! ​This is a stand up gig with minimal seating at the back - It will be loud! - Teenagers welcome and well behaved adults! - There will be no provision for young children at this evening's gig. It's a chance for Mums & Dads to let their hair down! So get the babysitter booked!